Sweet escapades: de-stress protocol for commoners. In case you didn’t know, we beat the Matta fair rate. Everyone have their own opinion and as for me, I love the way I travel, as backpackers – off luxury which suits the commoner level very well but yet still manage to enjoy the city to its heart. 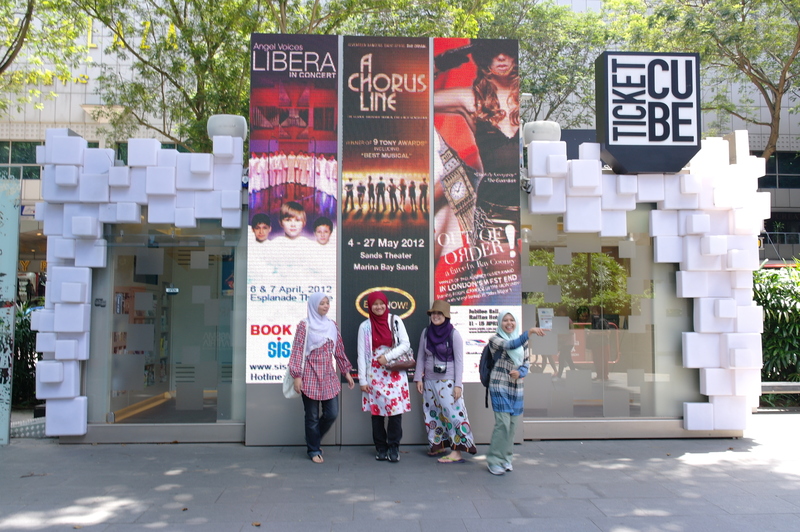 This is the adventure of 5 girls and a guy exploring Singapore heart and soul. 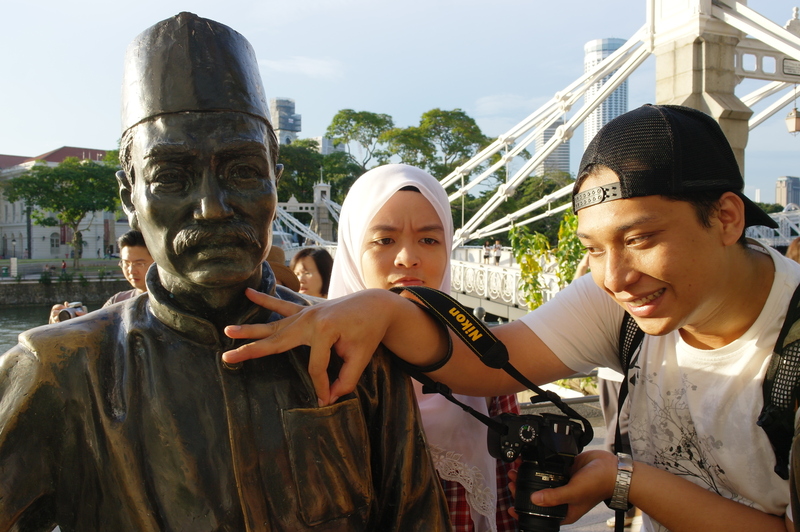 We had a splendid time in Singapore for one whole day! 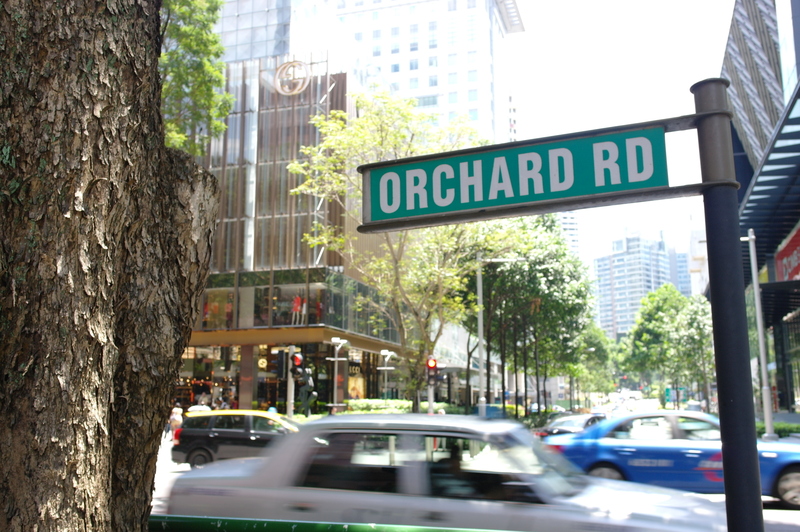 Our first spot is Orchard Road. Orchard Rd displays Prada, Louis Vuitton, Gucci, Ferragamor, Coach, Jimmy Choo and all-you-can-name designer brands on its front row. A definite place for glam and fab but before stepping into any of these shops, make sure you have that platinum no-limit credit card because you’ll need it even for a small souvenir keychain. 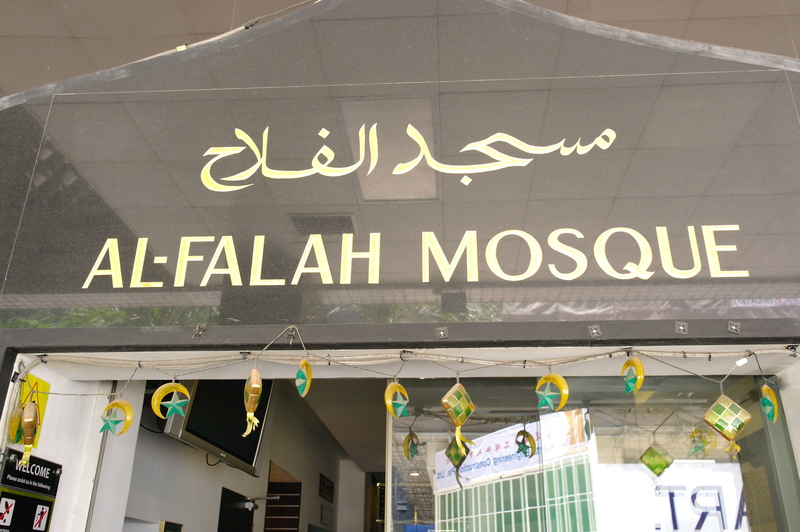 We then head to Al-Falah Mosque but there still half an hour before Zuhr prayer. So, we plan we hit the Seven-Eleven and had ramen cup. Unfortunately, there’s no hot water and according to the local Muslim girl, there’s Muslim shop at the end of junction. 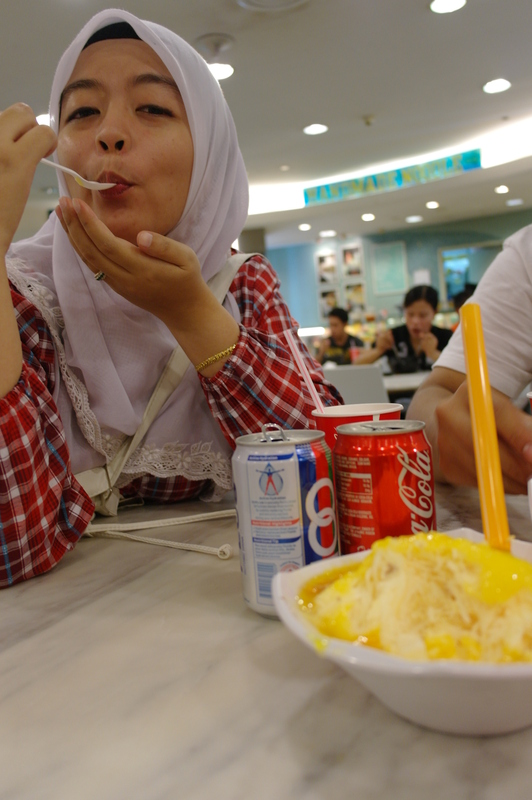 There also KFC which is Halal (recognized by Singapore Halal Federation). 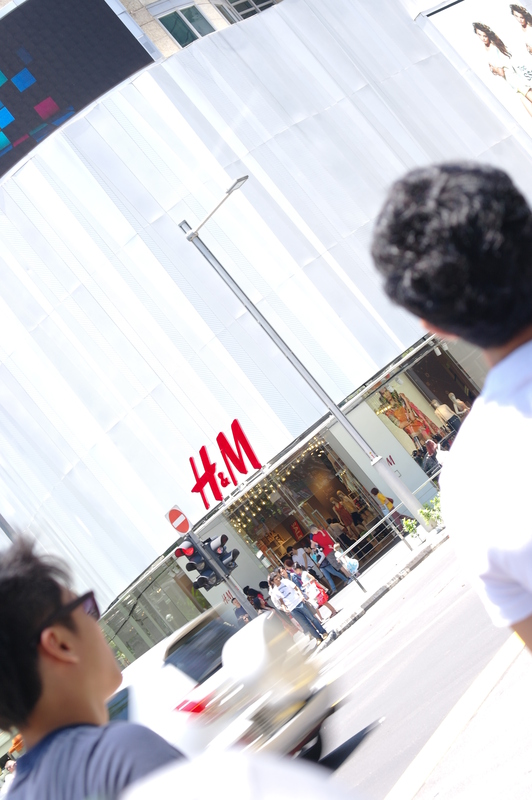 So, we walk a bit further from the mosque and Kak Jmie saw H&M – my favorite. As far as I know, H&M is basically from Europe and I start dating with her while in Germany. I’m specifically looking for a bracelet- a gold and very Egyptian like- another product from H&M that makes me skip beat. But, because our time is very limited and I’m kindda in tight wallet, I’m glad Kak Jmie didn’t decide to drop by there. Or, I’ll be crazy! Seriously! 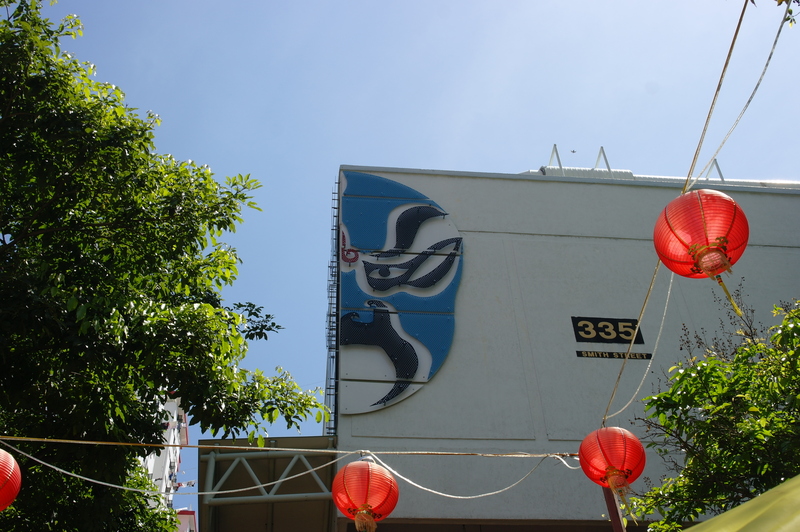 From Orchard we took a metro to Chinatown. 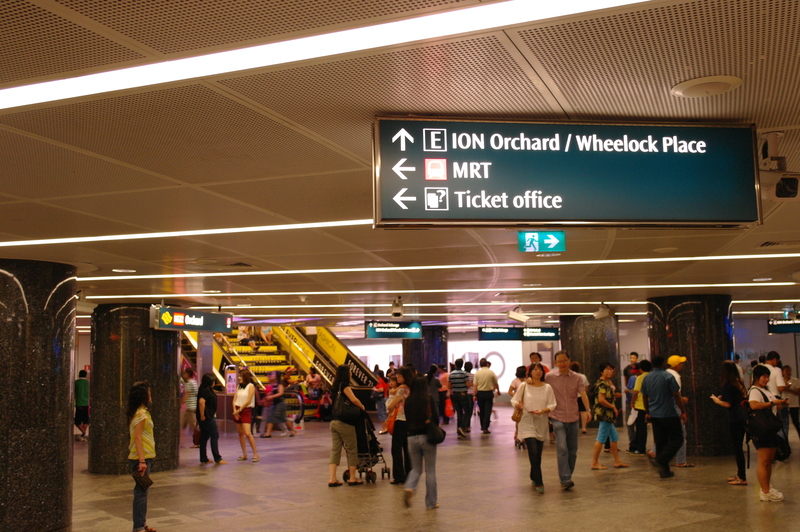 Every signs are written in strokes, so immediately you knew you went off at the right station. 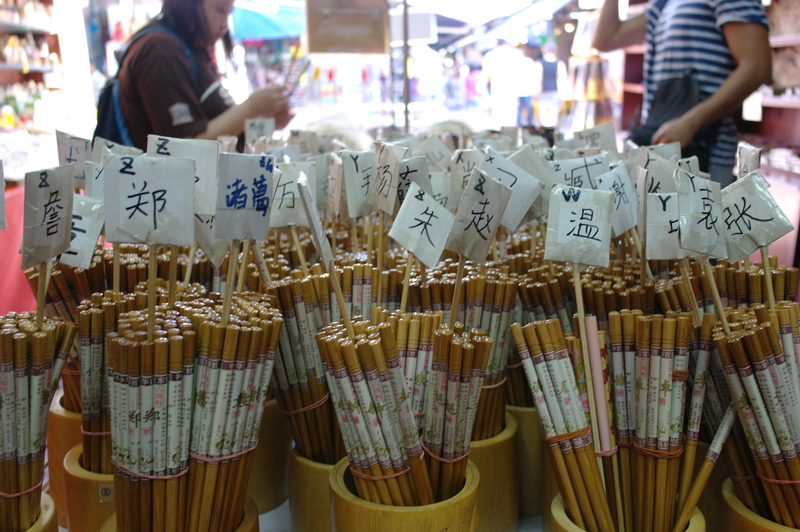 The Chinese essence bloom from the chopstick with Chinese zodiac printed pattern to red lanterns that decorate the skies. 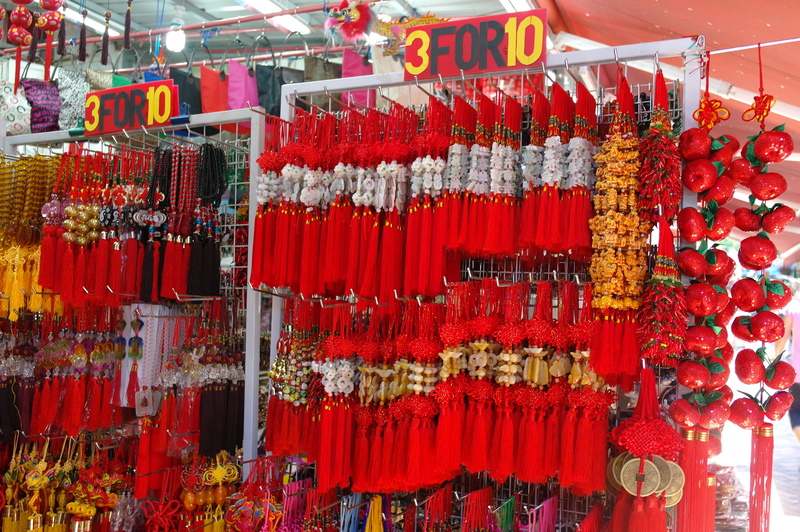 The best part about Chinatown is its affordable. I bought a fridge magnet with fun sayings about Singapore “fine” city at only SGD2. Kak Jmie bought her “fine” tee at SGD 15,90. 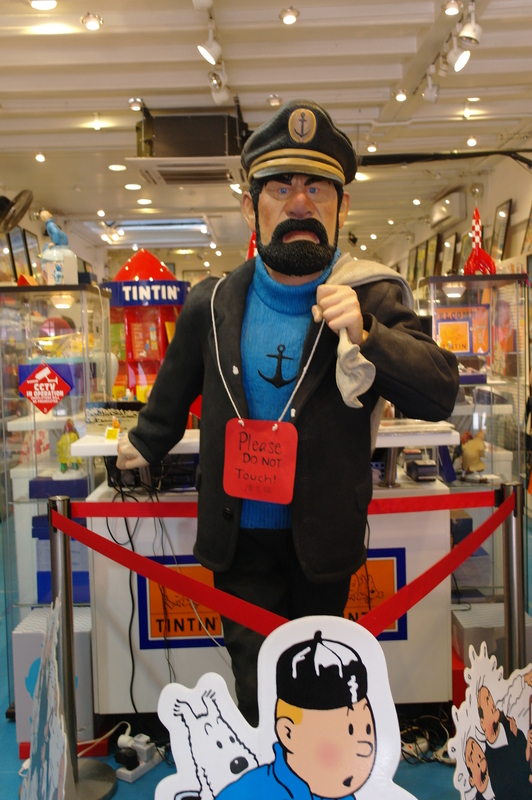 There’s Tintin Museum – the famous animated detective and Coin Museum. 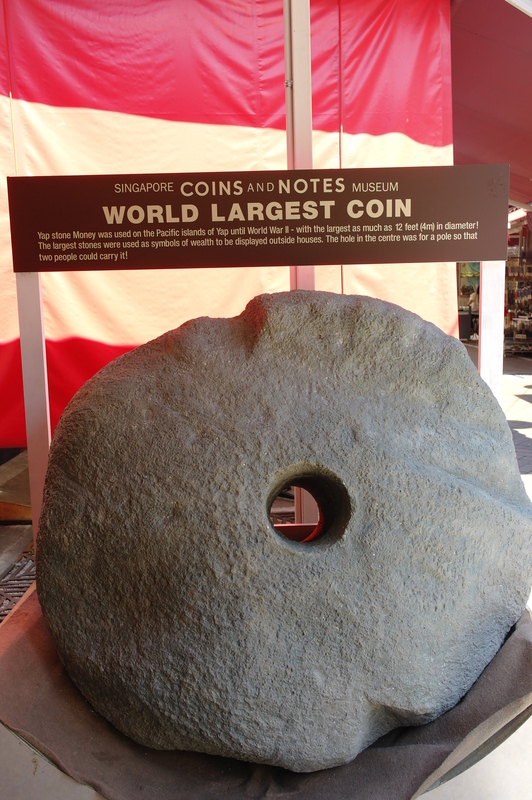 You’ll get to see how large the world largest dim are- well at least that’s what they call the big stone outside the museum. 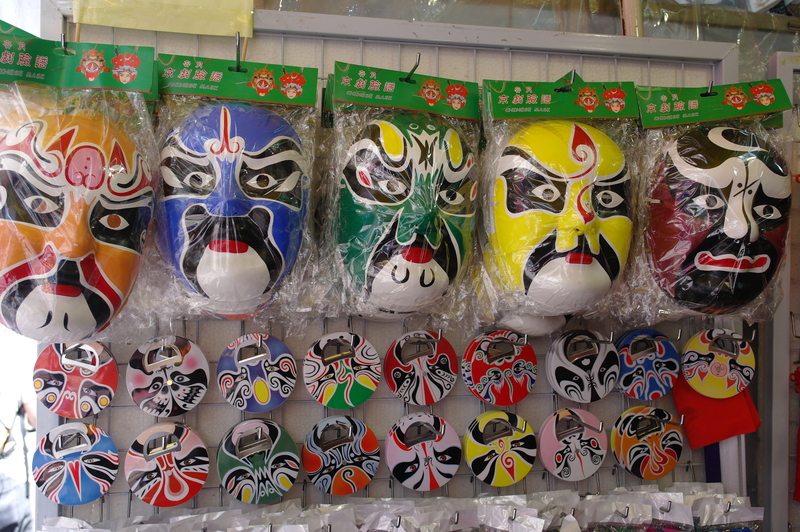 They left it outside because I bet a thief will think twice to steal them – super size heavy! 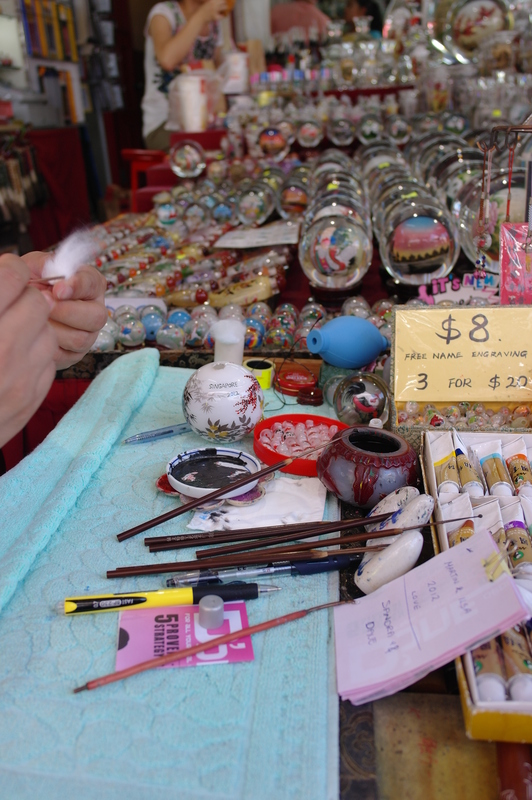 There’s shrine too, where tourists get to experience the temple closer. Other eye-catchy things are the food. 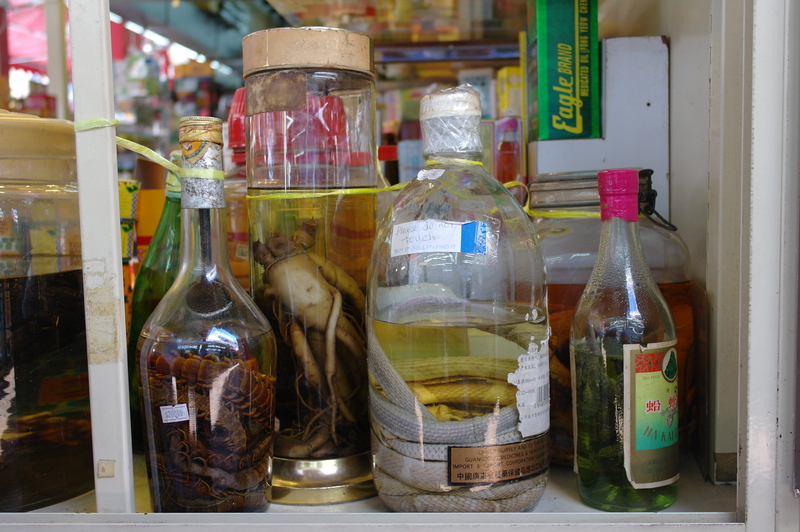 We have snakes and large centipedes or hairy chestnut for you to try if you dare enough. 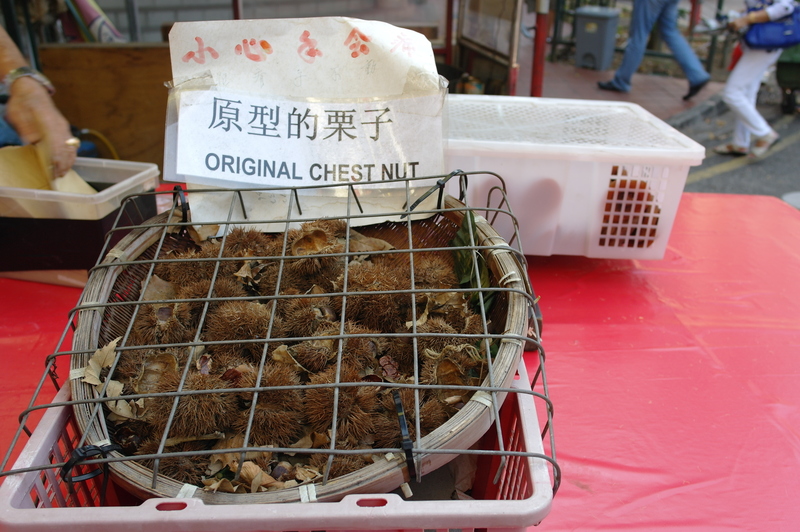 Or maybe you would just want to stick to Fried Keow Teoy or cold Lai Chi Kang, it’s all there. 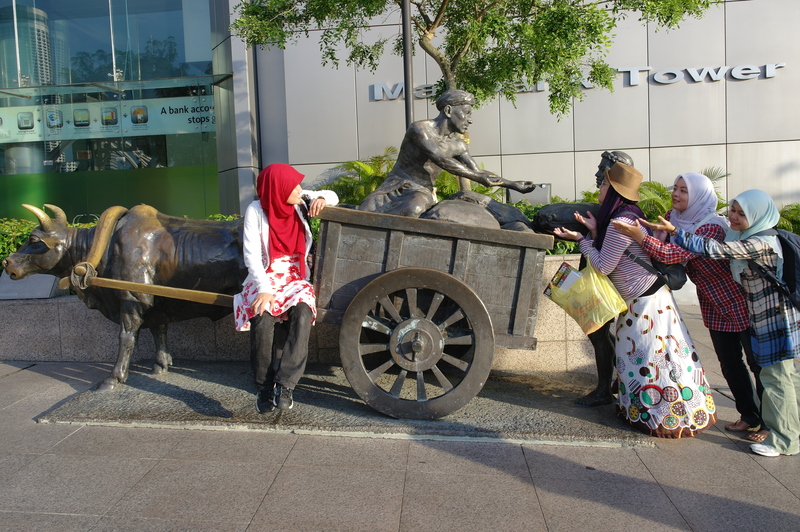 Next is Vivo City. 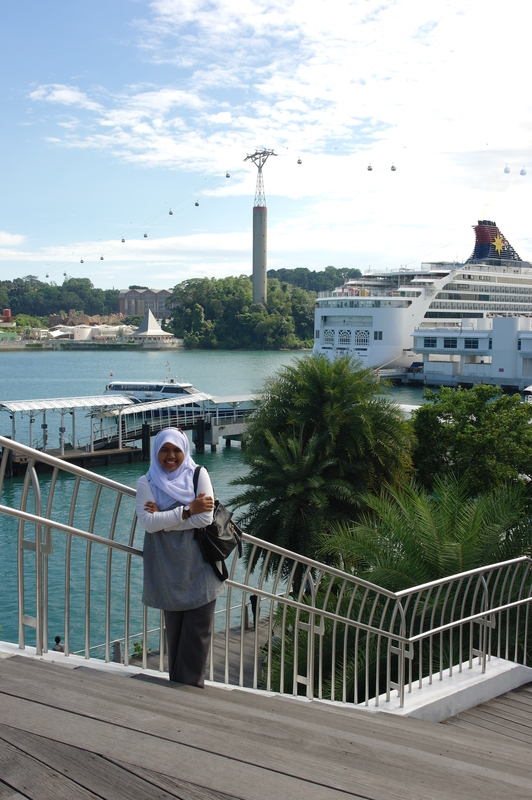 Vivo City was magnificent. There’s National Geography Museum and who ever can resist that. Excellent photos from professionals, remarkable discoveries, tempting souvenirs and astonishing gallery. 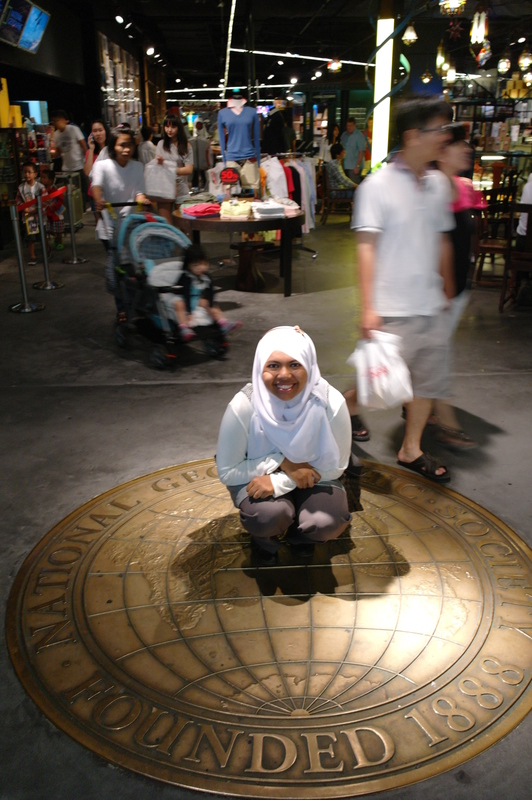 Unfortunately no photos allowed, so the only proof that I’ve been there is a photo of me sitting awarkdly on the glowing Nat Geog globe. I enjoy myself dearly being there but will do more if I can try the frosting challenge. I wouldn’t be surprised if suddenly I went off there just to try on the game. Vivo City didn’t stop there. 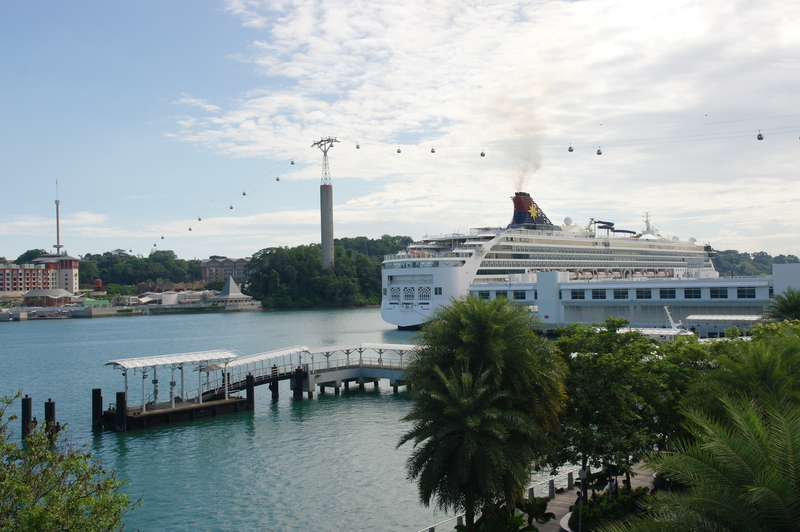 At the top level, there’s cable car which allow you for a skyway experience. 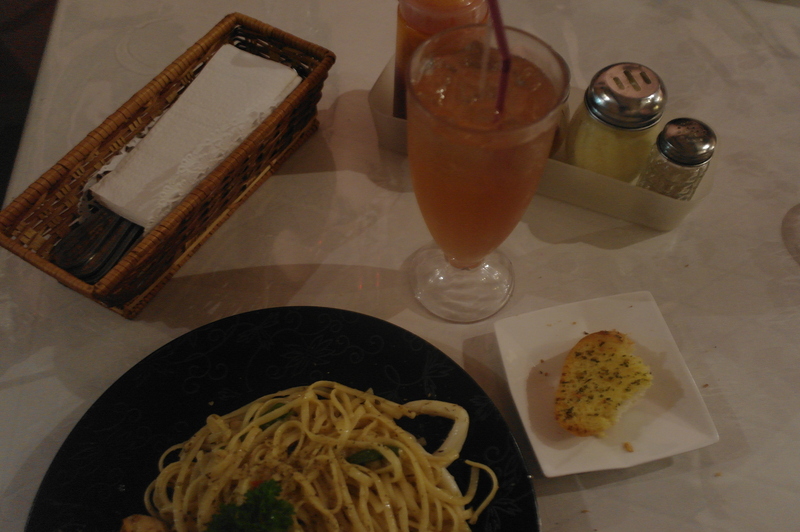 Vivo City has lots of great food to offer. 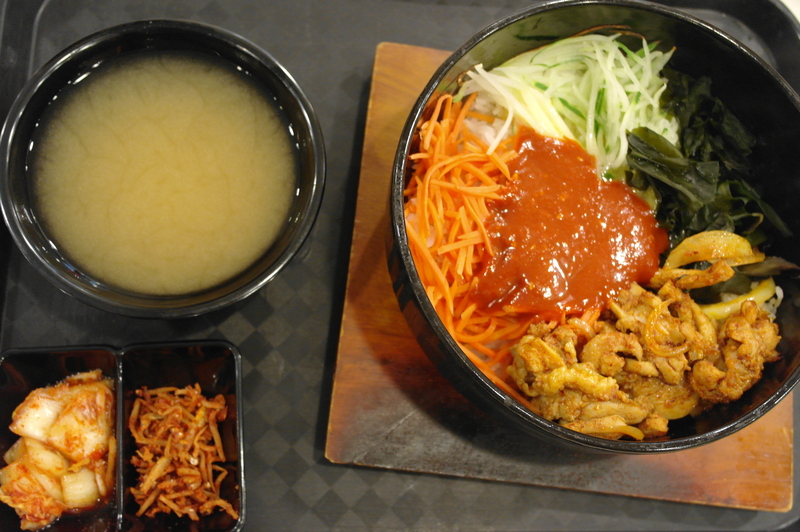 From Korean bibimbap, to Japanese bento, to sweet mango shredded ice-cream, and handmade noodles – all are halal. This excitements continue. 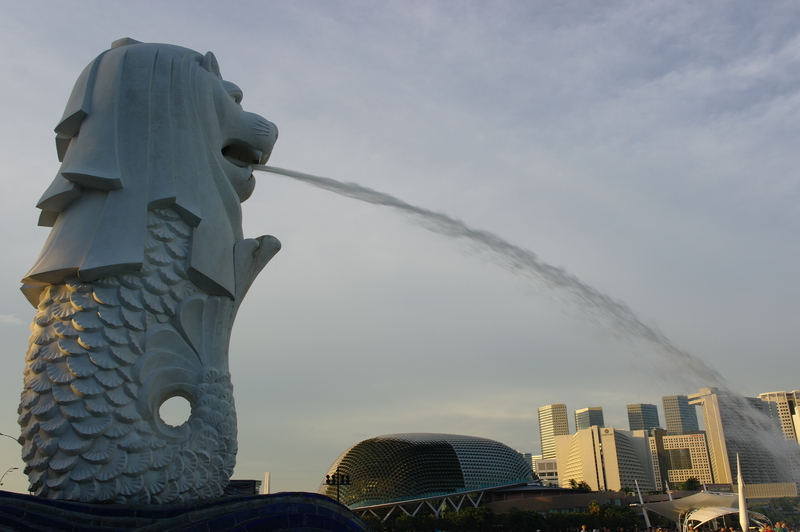 We head off to the city most famous landmark- the Merlion. I simply can’t describe the experience in words. Maybe because of the warm weather, or maybe because the breath-taking park, or maybe because the fun I had with my dearest friends that turn everything awesome. 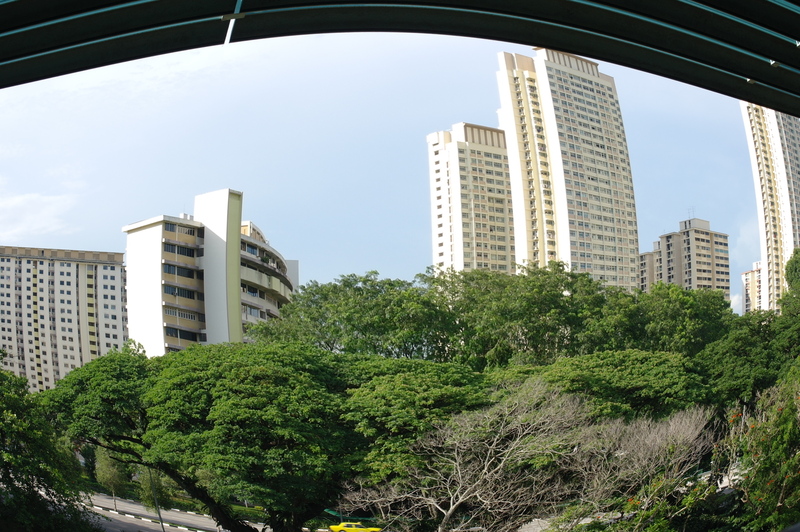 We went to Esplanade. We get to watch a Sunda performer performs a fascinating performance. I took a first few minutes video. Then, we get to vote some arts and I get a cute short pencil as souvenir. 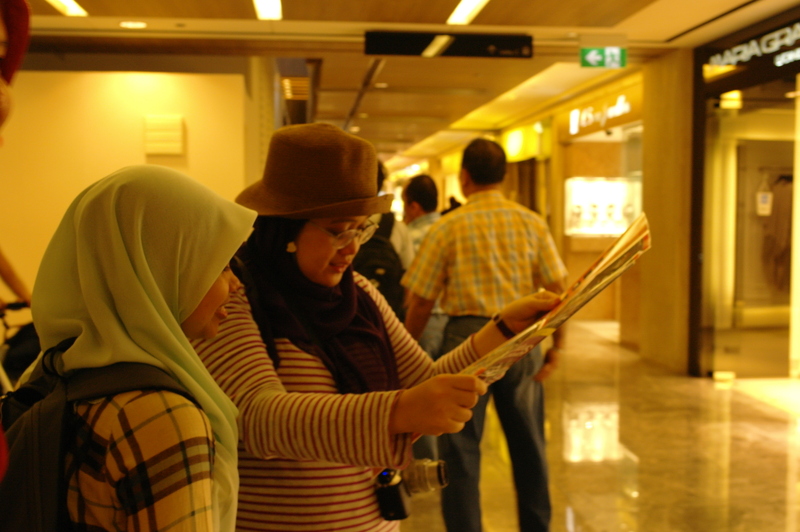 We can’t be too long at the art gallery because we need to catch metro to get to mosque in Arab St. 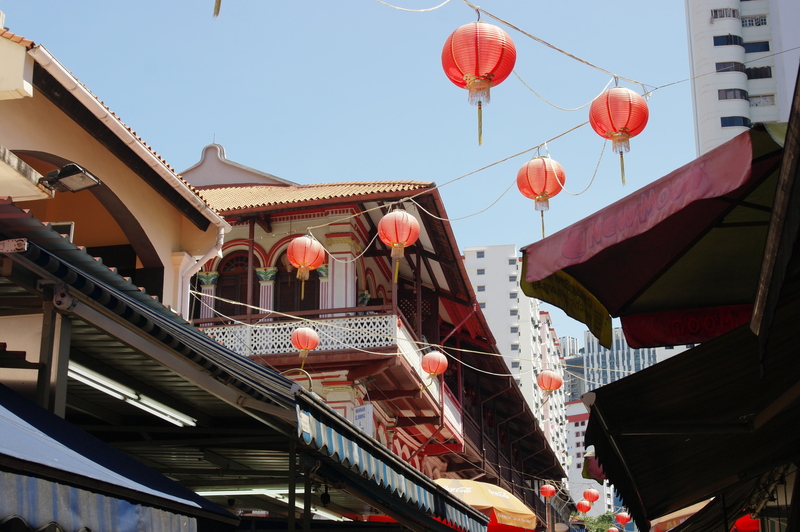 The Arab Street was a wrap off. We stop for dinner at this lovely little Italian restaurant. The decor was all English, so you can tell the owner took anything out of her house and put it here and there just live up the space. The owner lady is very polite and modest. 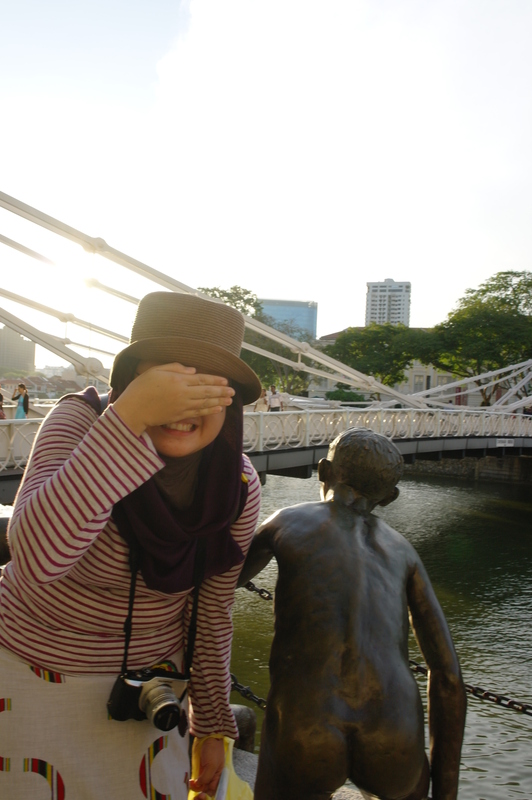 She’s a Malay who originated from Johor but live in Singapore. They even apologize for the food that they assume to be a bit salty but actually turn to be superb. The bologneise sauce taste homemade – just the way they promised. My linguine is cook to perfection. Raja’s fish and chips is a big course. We enjoy the meals so dearly, that I forgot my camera for while. Not much photo from the inside of the shop. But I would greatly recommend this to everyone. A taste you must go for. « The adventure of a traveler and his privilege.